A comprehensive round-up of all the latest news and event information from our spirit category over the past 3 months. If members have gin news and wish to share it with other members, please let the Guild know. Omitted in error from the last edition, was reference of two wins for the City of London Distillery. A Master for their Dry Gin – Super Premium and another Master for Micro-distillery (as well as a Gold medal for their sole gin). The Spirits Business reported that IWSC figures show that Hendrick’s remains the UK’s leading super premium gin, with Caorunn appearing to have overtaken Tanqueray 10 to second place in that field. Drinks International reports the story that EWG Spirits & Wine (producers of the G’Vine gins) has funded and recreated a gin from a recipe dating back to 1495. The recipe was discovered by Philip Duff in Amsterdam. As is the case with the G’Vine gins, this is a gin based on a grape distillate. The formal launch will be in November and will be featured in a future edition. EWG have very kindly invited Founders and Wardens of the Guild to the launch event. The Drinks Business reported that the annual spirits and Champagne report carried out by William Grant & Sons UK – formerly known as First Drinks – revealed current consumer trends and how shopper habits are changing as the country emerges from recession. The high-end on and off-trade channels are becoming increasingly important for premium spirits. Gin is also performing well, with a wealth of new brands helping to fuel general consumer interest in the category. With premium gin growing at six and a half times the rate of mainstream gin, the opportunity remains for further growth. Bombay Sapphire’s ‘World’s Most Imaginative Bartender’ competition drew to its conclusion. See www.bombaysapphire.com/imaginativerbartender for details of the finalists and the winner, Remy Savage from Little Red Door in France. The Spirits Business raised the issue of whether ‘strange botanicals’ have taken gin too far. Under EU and US legislation, gin, distilled gin and London dry gin must be “predominantly juniper tasting”, but if taste is the only means of measuring juniper content, it is completely subjective. “It is extremely difficult to measure a gin’s juniper level,” said Desmond Payne. The magazine queried that, with so many feisty-flavoured botanicals now in use, how far is too far when it comes to adding untraditional flavours and botanicals to gin? The Spirits Business reports sloe gin truffle ice cream made by SLOEmotion, Brymor Dairy and Hunters of Helmsley, with a vanilla base, sloe fruit ganache and crunchy dark chocolate chips. Beefeater MIXLDN Global Bartender Competition 2014 is challenging bartenders to create a cocktail based on the theme “London Inspires You. You Inspire London”. Bartenders will be given the choice of using either Beefeater Dry or Beefeater 24 to create their drinks. The final will be in January 2015 with the chance to be crowned Beefeater MIXLDN Global Bartender Champion. What makes a craft gin? The Spirits Business reports discussion in the US as to what is a ‘craft’ product and possible abuse of the term by larger brands. This is an interesting area of discussion. Lance Winters, master distiller of St George Spirits, believes that an official definition which could ban such companies from marketing themselves in this way, would not be beneficial to the sector. Winters believes that there should be an enforced “legal transparency” in spirits labelling, as companies “should not be able to get away with lies”. Currently, there is no US government-enforced definition for craft spirits, yet the trade organisation the American Distilling Institute (ADI) stipulates its own industry definition, which is that, craft spirits are the products of an independently-owned distillery with maximum annual case sales of 52,000 cases, where the product is physically distilled and bottled on site. With the steady increase in UK craft distillers, no doubt this issue may become a topic here. If members have comments or thoughts on this, please let us know. The Guild is an inclusive group and is of course the natural home of Gin innovation, including new start-ups and craft distillers and craft distilled gin. Drinks International reports that Maxxium UK, distributor of Berry Bros. & Rudd’s No. 3 London Dry Gin, to highlight No.3 Gin’s summer residency with ‘The Gin Garden’ at Kew, issued a challenge to devise “an English garden twist” to create a fresh take on Jerry Thomas’ classic ‘Gin Cocktail’. Harpers’ reports Humphrey Bogart’s Real English Gin set for US launch. “Of all the gin joints, in all the towns, in all the world, she walks into mine.” said Humphrey Bogart as Rick Blaine in the film Casablanca. Humphrey Bogart’s Real English Gin is launching in the USA next month and will be produced as a collaboration between Rok Drinks and the Humphrey Bogart Estate. The Spirit Business reports Bloom gin has worked with upmarket UK soft drinks producer Fentiman’s to add a pre-mixed gin & rose lemonade offering to its range. It follows on from the earlier creation of Bloom gin & Fentiman’s tonic, which launched in the UK on- and off-trade back in 2012. The Spirit Business and the Drinks Business report that Warner Edwards Distillery is releasing a limited edition rhubarb gin this September, using a rhubarb variety originally grown in Queen Victoria’s garden. The Drinks Business reports that UK’s newest gin distillery, which claimed at the time to be the most northerly on mainland Britain, is due to begin production (but see below for gin news from the Shetlands). Dunnet Bay Distillers has been set up on Scotland’s Caithness coast near Thurso by Martin and Claire Murray. 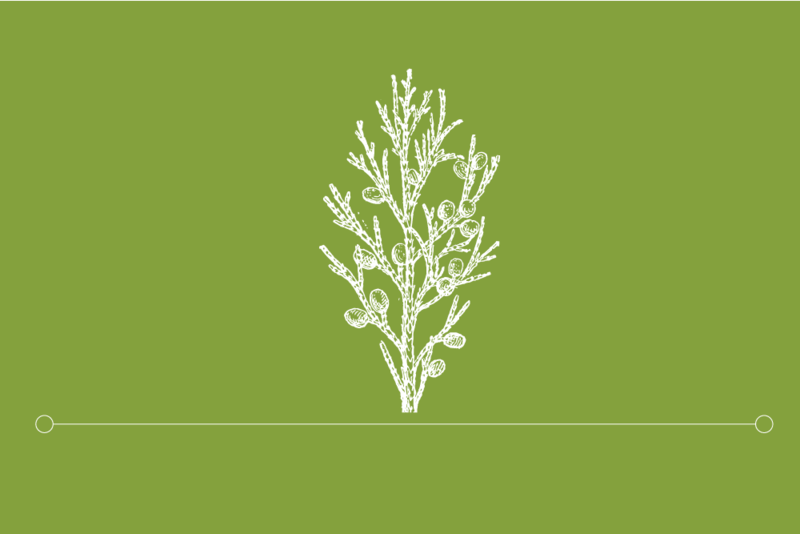 Rock Rose gin features juniper and an assortment of locally derived botanicals, including the rock rose from which the brand takes its name, sea buckthorn, rowan berries and blaeberries. The Drinks Business reports that the Old Bell Inn in Saddleworth, has scooped the Guinness World Record for stocking the largest variety of gin for its back bar of 404 different gins from Hendrick’s and Bloom Gin to the famous bespoke ant-flavoured gin created by Copenhagen restaurant, Noma and The Cambridge Distillery. The Spirit Business reports on Durham’s first distillery since the Tudor era – recently opened by a former NHS executive, producers of Durham Gin. The Drinks Report reports that Shetland distillery has launched Shetland Reel Gin, using botanicals that include an apple-mint specially grown on the island of Unst. Two Birds gin won a prestigious gin award in China. Spencerfield Spirit Company has launched the first batch of its Cannonball Navy Strength Gin, the first new product to be released from its new Edinburgh Gin Distillery. Both the Spirit Business and the Drinks Business report that gin is set to be the top drink at Christmas. The research, carried out by UK drinks suppliers Ben Shaws, found that those aged 35-44 are the most likely to order a spirit and mixer, while cocktails are the most popular party tipple for 18-24 year. The findings follow recent research into the position of gin in the on-trade , with 44% of bartenders from renowned London bars saying that premium gin was the most important spirits category in their venue. The Drinks Business reports that UK gin distiller Greenall’s has introduced the first new additions to its range for more than 250 years. Greenall’s Wild Berry and Greenall’s Sloe Gin follow moves by a number of other gin brands to build on the category’s success by expanding into flavoured expressions.